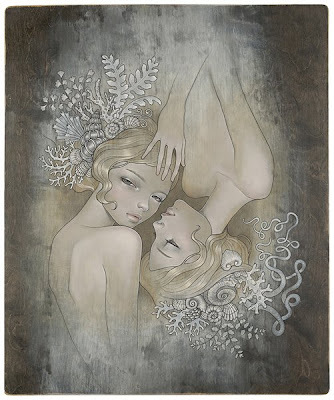 I am still a big fan of Audrey Kawasaki and I think I am still lusting to own one of her pieces. Its simple yet so elegant. It speaks beauty, sexuality and feminism. My sister introduced her art to me several years ago and its one of those illustrations that you will always remember because of its soft strokes and minimal use of colors.